Hydroformed bellows are highly automated and offer the cost benefits of higher production. Hydroformed bellows can be manufactured from welded or seamless tubing. Mechanically formed bellows are usually more labor intensive and well-suited to low production demands. 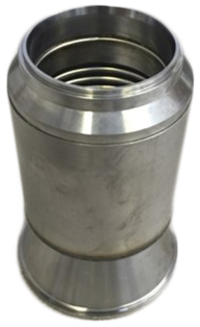 Mechanically formed bellows can be manufactured from welded or seamless tubing. Standardized tooling is usually employed. Seamless tubing manufactured at Senior Flexonics Bartlett from sheet/strip material. Annealing and chemical pickling operations required to process drawing seamless tubing used for seamless bellows. 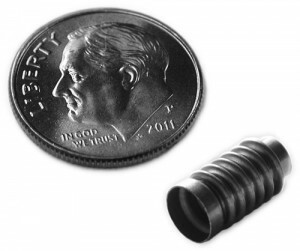 Welded metal bellows are a dynamic seal capable of a great range of motion. They are suitable for extreme temperatures and corrosive environments. Edge welded bellows are manufactured from sheet stock. 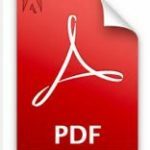 Material sheet stock composition and thickness are selected to suit the application. The first step involves stamping a male and a female pattern diaphragm, which is then welded together at the inside diameter to create a single convolution. Step two involves these convolutions being stacked together and welded at the outside diameter to create the bellows capsule. Senior applies our bellows technology to solve performance and reliability issues with many types of devices including: accumulators, compressors, couplings, hermetic actuators, high pressure seals, reservoirs and thermal actuators/valves. 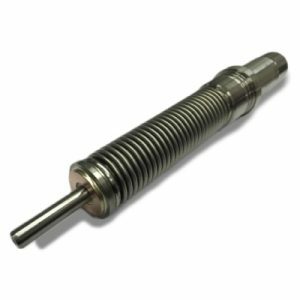 Any device requiring a high cycle dynamic seal in a harsh environment may benefit from a welded metal bellows solution from our sister company. For more information about edge welded bellows click here Senior Flexonics. 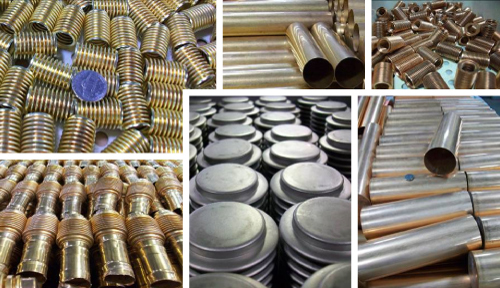 Stainless Steel, Inconel, Hastelloy, Beryllium Copper, Phos Bronze, & more.